With the first day of track action for Aston Martin Racing and their Partner teams now under their belts, we have a quick look back at anything of note that has come out of the winter test today. The quick answer to that question is of course nothing really but its always good to have a peek! The Beechdean AMR team have been out and getting to grips with their upgraded V8 Vantage GTE with factory driver Darren Turner taking the lead role and helping co drivers Andrew Howard and Ross Gunn pick up on the differences between that and their previous iteration. 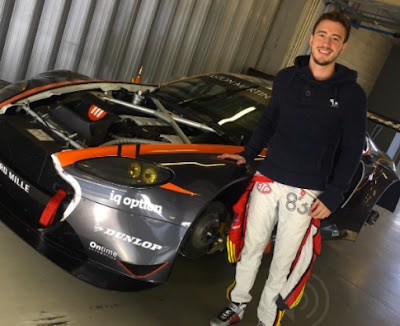 Alex MacDowall, who of course helped the team towards winning the 2016 European Le Mans Series GTE Championship is also in attendance at the test. 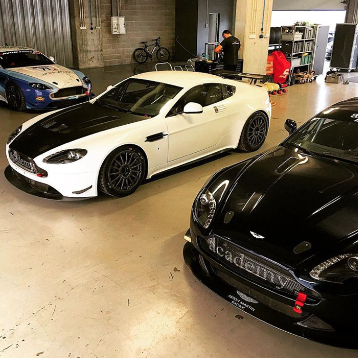 Academy Motorsport are also there with three V8 Vantage GT4's - we know one is for Will Moore and Matt Nicholl-Jones for both British GT and European GT4 Northern Championship. 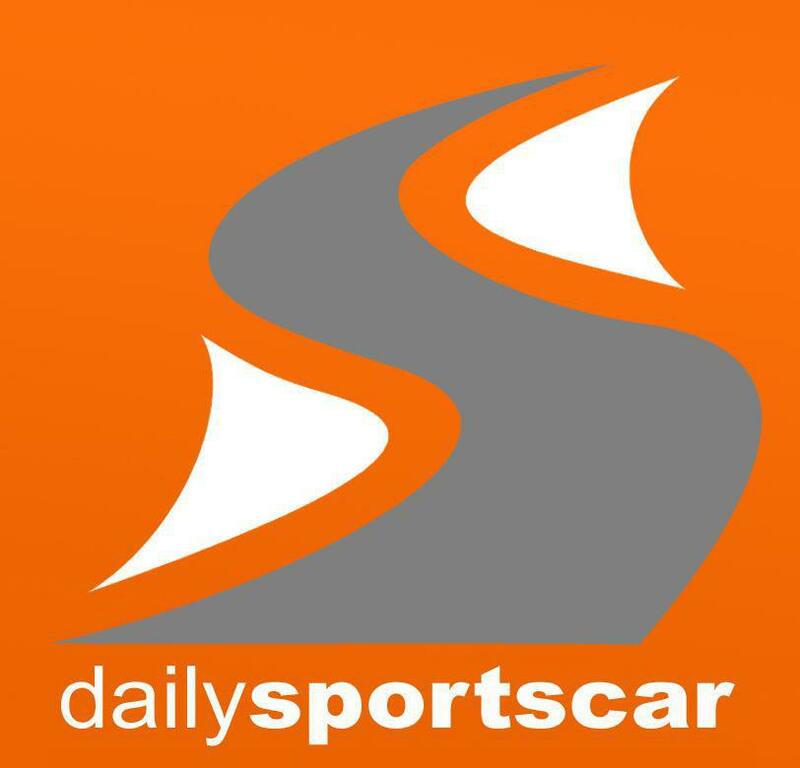 Joining them is at least other team stalwart Dennis Strandberg so just maybe there is another car entry reveal to come as they did promise a two car effort in 2017. The more aware of you, you will notice lurking in the background the former Quantamatic Racing V8 Vantage GT4 from 2015 and that was last in the possession of Team Parker Racing - so thats something to follow up on…..! Nothing has been seen from either of the TF Sport GT3 cars, likewise the two MacMillan and Generation AMR cars, but thats just probably down to being very busy. 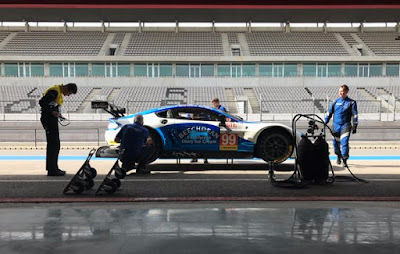 The 'can we - can't we' issue over the TF Sport GTE car also continues with some frustration on our part but we are certainly not going to bite the hand that feeds us. Previous winter testing events have seen many 'guest' drivers invited over to sample platforms on offer from the AMR stable. One to take note of this year is Gabriel Casagrande, a Brazilian stock car driver. Along with guests sampling the various race cars on offer, Aston Martin Lagonda also have almost their road car range on track this weekend ranging from the Vantage S at one end of the spectrum across to the incredible Vulcan at the other!! 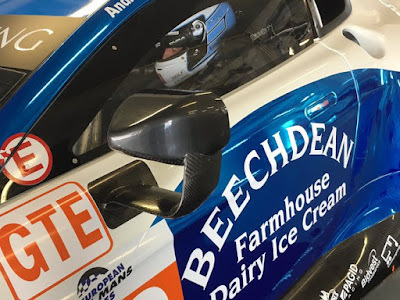 One thing though has been extremely conspicuous by its absence - there has been absolutely no mention (in word or photo) of any of the factory World Endurance Championship entered cars. A tweet from team photographer Drew Gibson earlier tonight apologised for not being able to release any image just yet. As we already know the driver line up for the 2017 WEC and that the V8 Vantage GTE's in which they drive have not been altered over the winter - can we expect a change in livery or technical partner decals similar to this time last year when AMR swapped over to Dunlop and Total?